← Cliches don’t work after this school shooting. Students will put spin doctors out of business! Are we living among Bots? It sounds like great opening paragraph for a sci-fi novel – a rhetorical question inserted into the throughts of someone fighting off some bad karma. Are bots occupying spaces in our lives where we least expect? Our news feeds, our social media likes, even the ‘information’ we use to make decisions on investing, purchasing, and what to read etc. 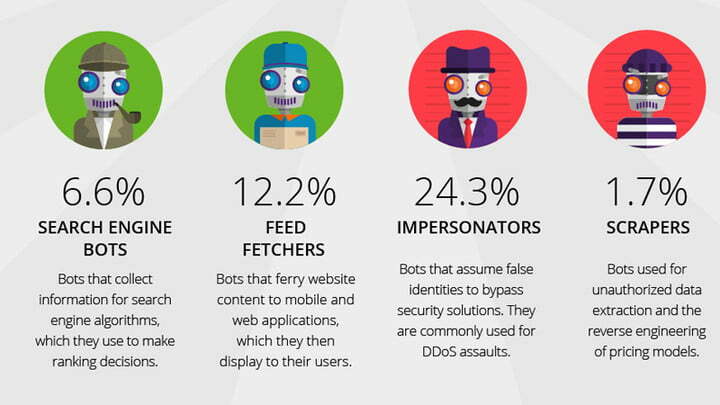 A recent article in Fortune states that malicious bots account for nearly 20% of all Internet traffic. Their list of insidious bots include those scripts steal content from commercial websites, influence ad metrics and ticket prices, and infiltrate forums. The main report from Digital Trends (they put the number at nearly 30 percent) notes that 48.2 percent of all traffic was sent by humans that year. The other 51.8 percent were bots. 23 percent were form good bots. We now hear of ‘bot farms’ that trade in followers – one can supposedly buy thousands of Instagram followers for a few thousand bucks. Oh, my! No wonder some websites’ authentication makes you click on “I am not a bot”! On a related note, IABC –the International Association of Business Communicators – has a forum discussion on Trust in wake of the 2018 Trust Barometer report. The bot discussion surfaced here too. Which shows that not ject tech folk worry about and plan ho to counter such an Internet cancer. Comms folk involved the reputations of companies and the information they share have to be cognizant of living among bots. Yes there are ‘good bots’ and bad ones, and there could be a battle royale being waged on the networks we use, hidden in plain sight. More material for that sci-fi novel, huh?